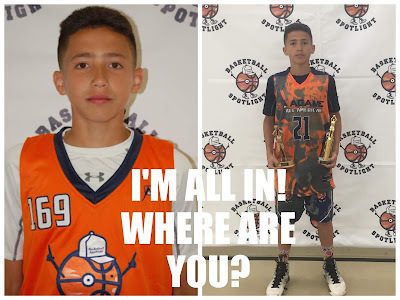 BASKETBALL SPOTLIGHT NEWS: Christian Bliss Returning To Future Phenom Camp! After finishing #2 in the Future Phenom Camp and playing in the AGame All American Game last summer Christian Bliss has decided to return and put his game on the display for the entire country once again. The dazzling point guard will headline some of the top talent coming down to the 5th Annual Basketball Spotlight Future Phenom Camp. I’m sure he will have many contenders looking to dethrone this wizard with the rock. Stay tuned as Basketball Spotlight brings you more top players who have committed to the Future Phenom Camp.